Thank you very much for all of your support. we have raised enough money for projects 2017-2018! Now we officially close the account for this year project. If you make a donation into the bank, please let us know via a text message on +66 (0)899 278246 with the date of your donation and your name. This is so we know who has made a donation and allows us to keep track of what is going in and out of the account more easily. If you can't donate money you can still directly and positively impact somebody's life by donating new or quality used items. The children of the area are in desperate need of study materials, sporting equipment, books, and stationery. In addition, kitchen equipment and clothing such as underwear, bras and t-shirts are required as well as medical and sanitary supplies. Please take a look in our needed items. And tell us what would you like to sponsor. Deliver to drop off spot in Bangkok. The military will help us deliver again to the mountains. 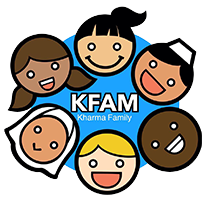 For a full list of required donations or to learn more about how you can help make a financial contribution, get in touch with Kharma Family today.